Suspected arsonists yesterday morning torched a kitchen hut belonging to Chief Shumba of the "ED Pfee" hit song at his rural home in Mapanzure Village, Zvishavane. Chief Shumba, whose real name is Admire Sibanda, who recently released a new song titled "Mushana paJecha", said he was home with his family when the arsonists torched the hut. He said they could have torched other rooms had he not been awakened by movements outside his bedroom. In an interview yesterday, a distraught Chief Shumba said he was thankful to God for sparing his life and that of his family members. "We are still in shock as a family and the whole village," he said. 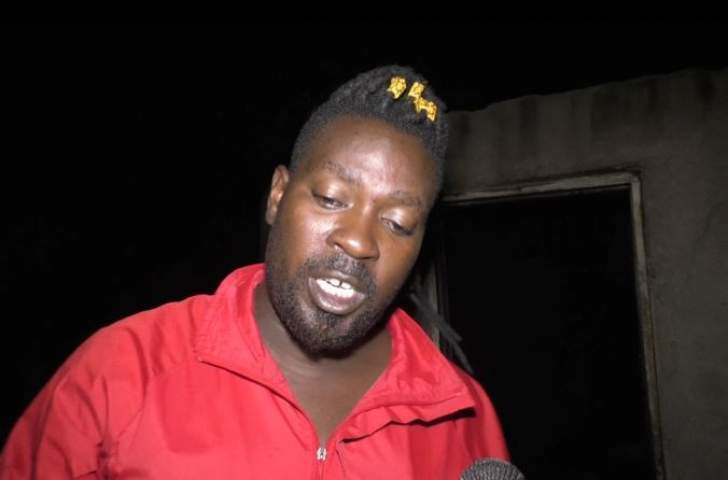 "My kitchen hut was torched around 1am by people who have been tormenting me for singing the song 'ED Pfee' and my recent hit 'Mushana paJecha'," he said. "In the wee hours of Wednesday, we heard some movements outside my bedroom and the next thing we saw the kitchen hut on fire. If we had not gone out I think they were targeting my bedroom." Chief Shumba said on New Year's Eve, he saw some people milling around his homestead before they fled. He said he has also been verbally abused in person and over the phone because of his allegiance to Zanu-PF and he had reported threats to his life and that of his family to the police before the latest incident. Chief Shumba said he would not apologise for supporting Zanu-PF and the Government led by President Mnangagwa since it was a people-oriented party which is pro-poor. "These people are merchants of destruction, they are anti progress, and I will not be deterred," he said. "I will continue supporting Zanu-PF. After I released the song 'Mushana paJecha' I have been criticised even by some private newspapers, but let me make it clear that my song is aimed at bringing awareness to youths and those who are bent on causing mayhem and disorder in the country that each and every Zimbabwean has a role to play in socio-economic emancipation of the country and the need to work together and not throw spanners in each other's works." Chief Shumba said he was saddened two weeks ago when Winky D decided to return to dancehall and drop a track named "Kasong Kejecha". Zanu-PF Provincial Youth Member for Midlands province and co-author of the song "Mushana paJecha" John Muchenje said it was unfortunate that there were people who still believed in using violence, destroying property or lives of those opposed to their views. "We condemn such silly and barbaric behaviour," he said.